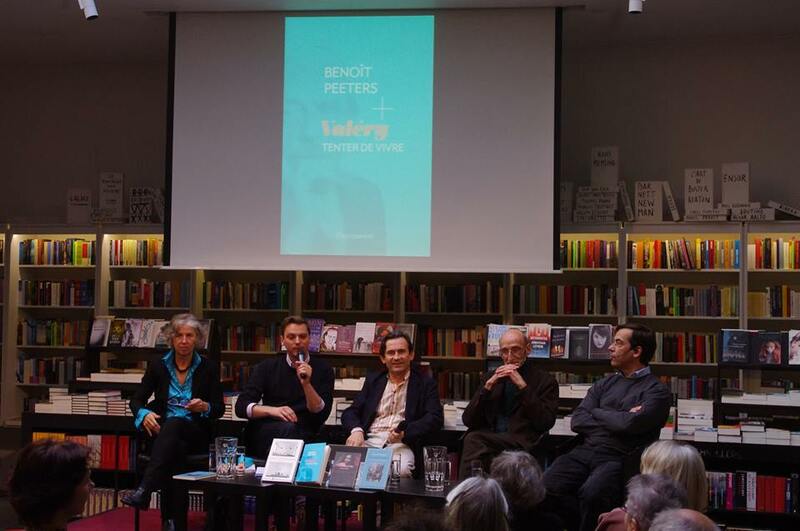 “Carte Blanche” to the French author Benoît Peeters. Famous in pop culture for his association with Belgian strip artist François Schuiten, he is also a writer with an extraordinarily diverse output (novels, essays, biographies…) as well as a publisher​. In conversation with Stéphane Lambert. Benoît Peeters most recently published an essay on Paul Valéry, offering challenging new insights into this great French writer's oeuvre. This book is once more testament to Peeters' amazing versatility. For his “Carte Blanche” programme, he invited three Belgian artists who are also good friends: photographer and video maker Marie-Françoise Plissart, with whom he has a long professional and personal connection; movie director and writer Olivier Smolders, best known for his idiosyncratic short films; as well as filmmaker, screen writer and novelist Erik De Kuyper. This blog post was created on 2014-05-15 at 15:37 and last modified on 2018-02-17 at 14:26 by Joseph Le Perdriel.